Video format: Auto Play in loop,full HD 1080p/AVI/RM. Summary:U disk input, U disk inserted into play; remote publishing; No WIFI network; support cycle, insert, timing, split screen. 1.Fully customizable for the outlook and some functions. 2.1 year quality warranty,perfect after-sell service. 3.Sample is available for your evaluation. 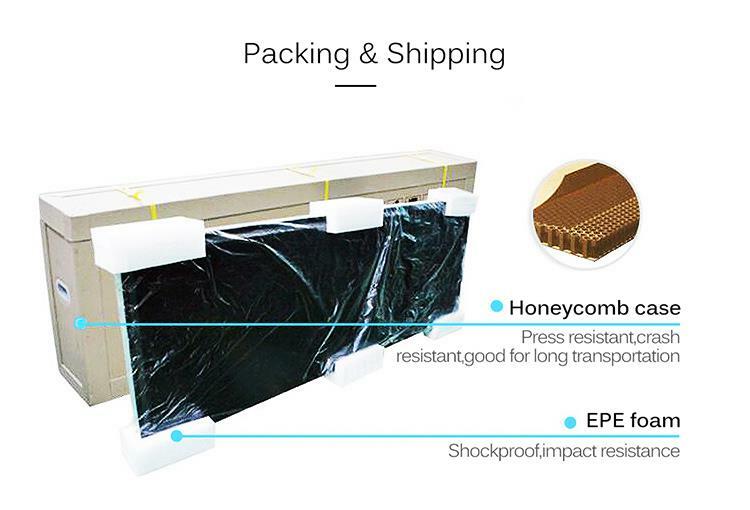 The lead time for sample is 5-7 days. Q: How can I pay for the order? 1) For sample order: 100% T/T or Western Union in advance, Paypal or Escrow is also acceptable. 2) For bulk order: 30%deposit T/T in advance, balance clear before pick up or shipment. 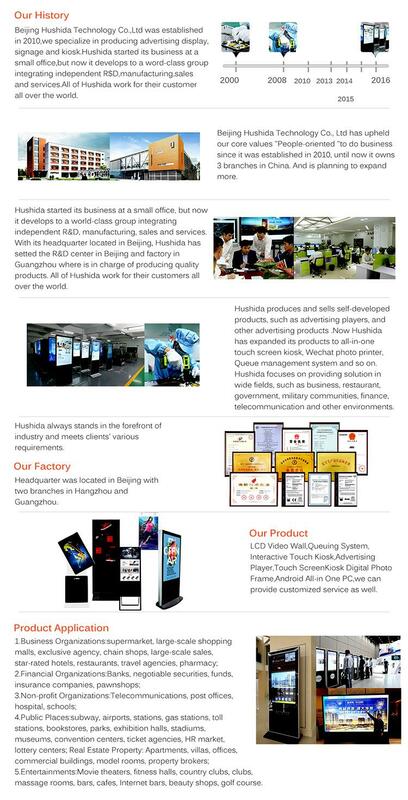 "8 years focus on LCD displays,all products meet the standard of CE,FCC and Rohs." "Fast Smooth Communication before and after the sale,24 hour online service.Guaranteed quality policy." 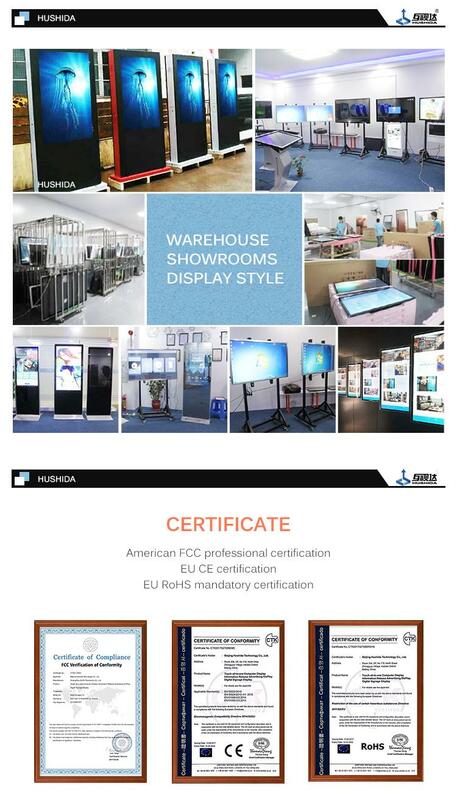 ”All LCD display addopting new a grade LCD panel that brands Samsung,LG,CHIMEI and AUO.100% Strict quality inspection before shipping." "Own Factory Based Costing,Brand quality with 10% low price."